Nobody cares about the groom. Any groom. In any country. Except maybe his mom. He just arrives as early as he can with his best man in tow and prays that half of those invited actually show up. He prays even harder that the bride will show up. Inshallah she will! 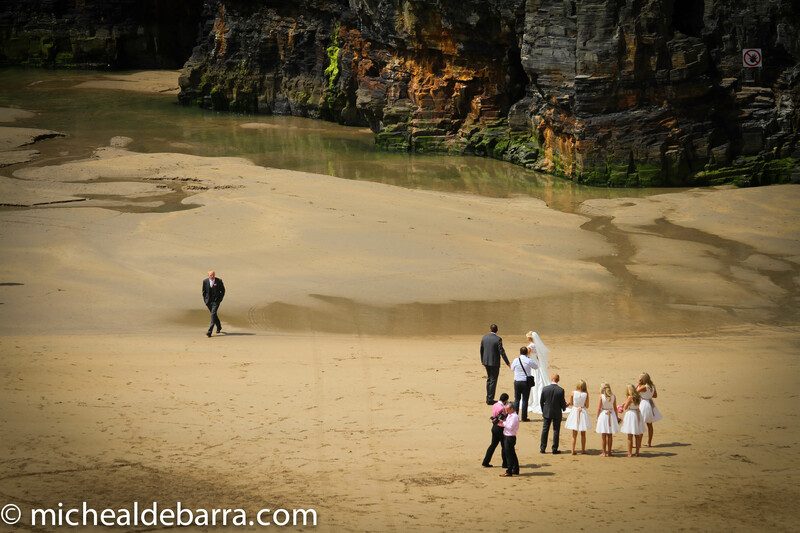 But when the bride arrives, that’s when the excitement starts…….. Spotted this group late June back home on Ballybunion beach in South West Ireland. A bit cliched for this week’s challenge I’ll grant you!